Hey look, my Simply Delicious Asian Chicken Salad is in a round up of 15 Tasty Recipes To Help You Keep Those Healthy Eating Resolutions on Buzzfeed. 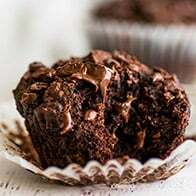 You should check out the other recipes on the list. There are some really good ones on there. 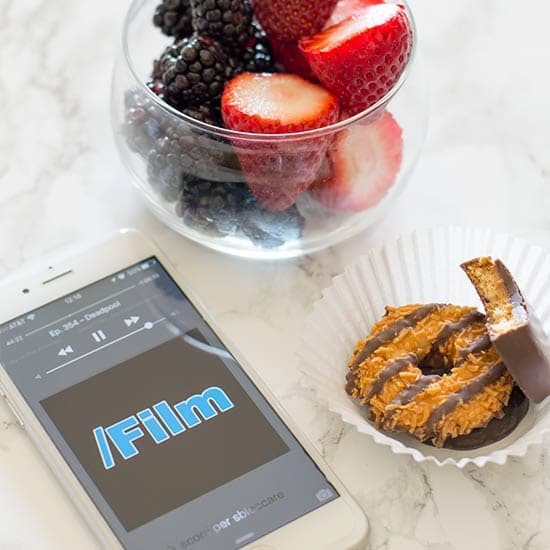 Also on the internets, Baking Mischief was Foodista’s featured blog of the day on Wednesday. Many thanks to them for that! Next week, we have one of my favorite sides to pair with soups, the final entry in our February soup and stew series, and a special treat inspired by our friends across the pond. 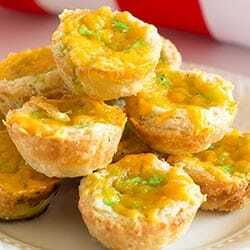 Green Eggs and Ham Mini Quiche – Green eggs, ham, and cheddar cheese in a buttermilk crust make a fun and delicious tribute to one of Dr. Seuss’ most beloved works. 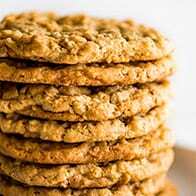 So tasty you might not want to share them with the kids! 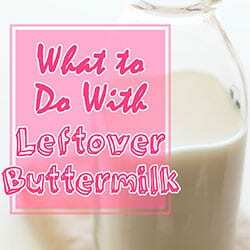 What to Do With Leftover Buttermilk – How to freeze and substitute for buttermilk and 40+ recipe ideas to use up this often-wasted ingredient! 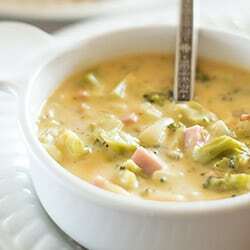 Sharp Cheddar Broccoli and Ham Chowder – Broccoli and ham chowder made with sharp and delicious cheddar cheese. 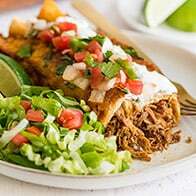 A perfect and easy weeknight dinner for those nights when cheese is a necessity. Did you watch the Grammys last week? I tuned in and out throughout the evening, but that Hamilton number was perfection. Any comics fans in the house? Soooooo, I read Civil War last weekend and let’s just say, way less nuance and way more gratuitous Spiderman crotch shots than I was expecting… Kinda glad Cap 3 is going to be a loose adaptation. 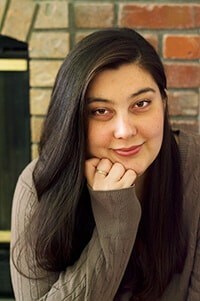 I am obsessed with the Sherrilyn Kenyon/Cassandra Clare lawsuit going on right now, not just because as a young teen, I devoured everything Kenyon ever wrote, but also because Clare is such a polarizing figure in the literary world. New Girl creator, Liz Meriwether’s Vulture essay that ran this week on the comedy inspired by living in and hating LA is so lovely it almost makes me want to start watching New Girl again. What a great week for you with solid exposure. Hope it grows your blog!!! I hear you! 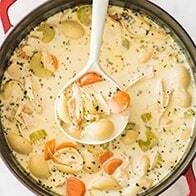 I’m hanging on to soup season and cold weather for as long as I can. I am in complete denial that in a month or so, we are going to be back in shorts weather here in SoCal. Love your weekly recaps of the blog activities. And congrats on your buzzfeed feature! I do something similar in my head but it doesn’t sound as organized as you 😛 Thanks for sharing! I LOVe comics but had never heard of the one you mentioned. I’ll have to check that out! Sounds like you’ve been busy! Thanks for stopping by, Cynthia! Civil War is the comic they are basing the new Captain America film on, and it was not what I was expecting at all. It was a big Marvel crossover event, so I think if you are a big Marvel comics reader it might be satisfying, but I’m not, so I found that it didn’t stand on its own.